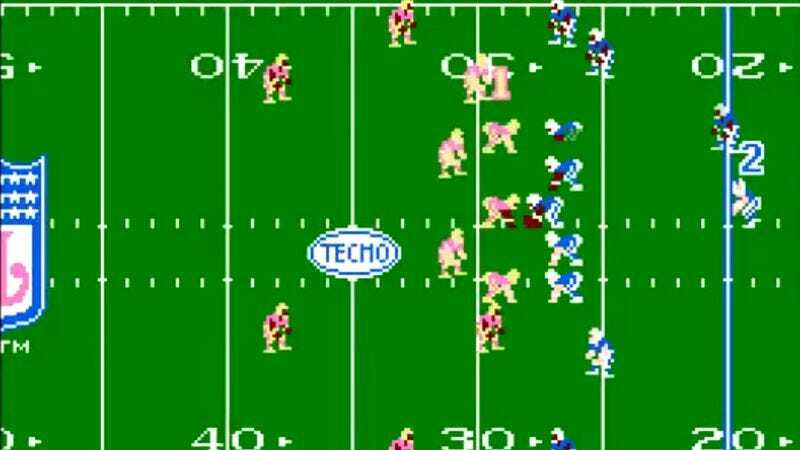 Madden editions come and go every year, but Tecmo Super Bowl is eternal. Created by Japanese game developer Tecmo for the Nintendo Entertainment System, this incredibly durable football video game will be celebrating its 25th anniversary next month. An affectionate article from The Ringer explains how Tecmo Super Bowl came about, what made it different from its competitors, and why its popularity has endured for a quarter of a century. After all, there must be some reason why Christian Okoye is still autographing cartridges in 2016. A sequel to Tecmo Bowl, which had been a late-’80s hit in both arcade and Nintendo formats, Tecmo Super Bowl was largely the brainchild of two non-football fans: director Shinichiro Tomie and programmer Akihiko Shimoji. After reading up on the sport and watching some videotaped games, Tomie and Shimoji created the first official video game to use the names of real NFL players and franchises. But it was the fantasy element, not verisimilitude, that made Tecmo Super Bowl such a hit. Here, NFL players possessed superhuman, almost godlike abilities. “We did not aim for reality,” admits project manager Hidehisa Yamaguchi. In particular, Bo Jackson’s uncanny speed became fodder for a recent Family Guy episode. That Family Guy episode caught the attention of some California admen who then created a campaign for Kia based on Tecmo Super Bowl. Embracing his 8-bit heritage, Jackson himself appeared in a couple of Kia spots, which also featured a “metal version” of the familiar Tecmo Super Bowl background music. Bud Light followed suit with a Tecmo-referencing ad of its own. But the Tecmo fandom goes way beyond that, the article points out. It’s the fans who have kept the game alive all these years, even gathering each year for a tournament called Tecmo Madison. The real-life NFL players are grateful for the adoration, even if some do feel a bit guilty about the fact that they can’t possibly live up to their digital counterparts.